Disney Rewards Visa Cardmembers can escape to Disney’s Hilton Head Island Resort in South Carolina, or Disney’s Vero Beach Resort in Vero Beach, Florida, and save 35% off stays most nights August 23, 2010 through November 24, 2010, in a variety of accommodations from deluxe studios up to two-bedroom villas. Your family can enjoy a huge array of Resort amenities and activities, including beaches and swimming pools, sumptuous dining, nearby golfing and so much more. 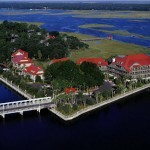 And new as of September 2010, enjoy an assortment of services at The Spa at Disney’s Vero Beach Resort. Each destination offers spacious accommodations with modern amenities and conveniences. Enjoy a great beach getaway with all the quality, service and magic that only Disney can provide! The number of rooms available may be limited, and a minimum stay requirement may be in place for Friday or Saturday check-ins. Deposit must be paid at time of booking with your Disney VISA card or Disney VISA debit card.